blackfeministbass Dedicated to Sangodare. Thanks for making a beautiful spreadsheet with all the logistical details of my Black Feminist Breathing Tour! I love you!! 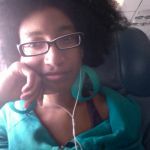 blackfeministbass Ciera values long-term and committed people to love. #signedsealedtweeted from @mobilehomecomin Communicating Desire workshop participants. blackfeministbass Love is constant breaking but emerging in strength and passion. @mobilehomecomin #signedsealedtweeted from our Communicating Desire workshop fam. blackfeministbass Latreece feels and desires love bigger than words. @mobilehomecomin #signedsealedtweeted dedications to our Communicating Desire Workshop fam! blackfeministbass Dedicated to Sameena Eidoo just kicking off her journal for Brilliance Remastered's "My Words Will Be There" 3 month coaching curriculum! blackfeministbass Dedicated to an anonymous person who reached out on tumblr. I don't know who you are, but I know this is true.